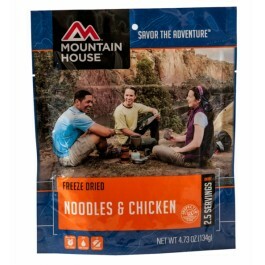 Noodles & chicken from Mountain House is an excellent addition to any long term food storage program. Each pouch contains 2.5 servings of one cup each, which is plenty to fill anyone up, or even serve to the entire family. The recipe contains only high quality ingredients, which will provide you with the strength and energy you need to get through almost any situation. A long 10+ year shelf life and easy preparation are just a couple of the many reasons why this is an ideal option for any food stockpile. 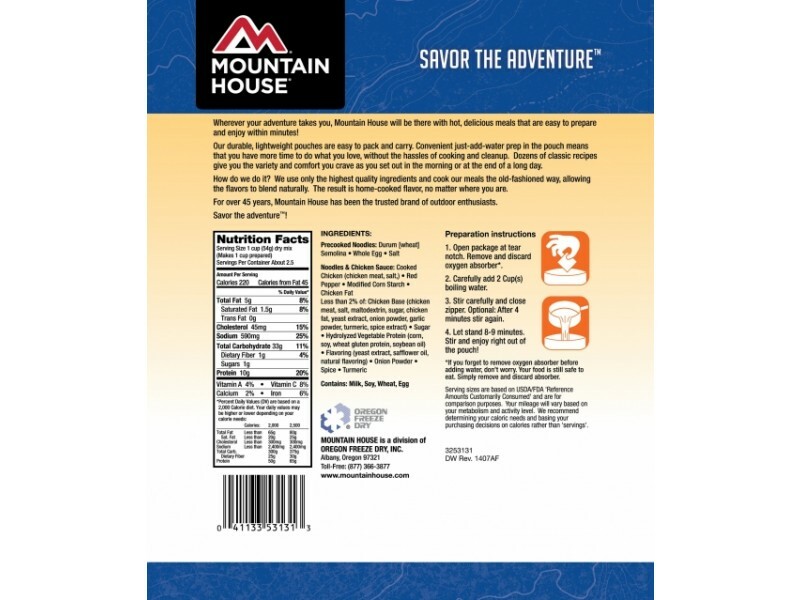 Mountain House is well known for creating some of the highest quality, best tasting long shelf life foods out there. This noodles & chicken dish is certainly no exception to that. 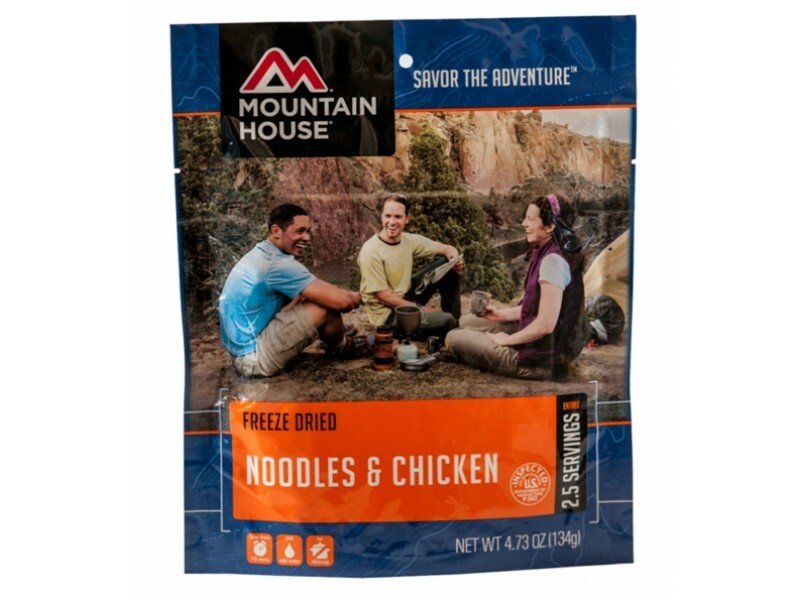 Just about everyone will love the taste of this meal, and the fact that it is ready to eat just a few minutes after adding in the recommended amount of hot water makes it a great purchase. Whether you buy just one pouch for yourself, or you stock up for the whole family, you’ll be glad you have access to this great food when you need it. Each of the 2.5 servings will provide you with 9 grams of protein to help keep you strong and healthy. You’ll also get 220 calories, which are critical during any disaster situation. Of course, you don’t have to save this noodles & chicken dish just for a disaster. 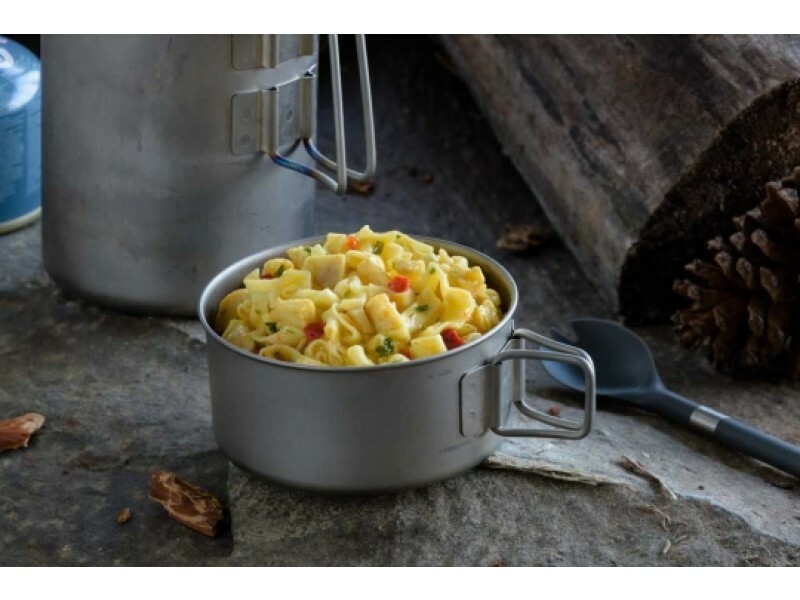 Many people will bring the pouch along on camping or hiking trips, so everyone can enjoy a hot meal that doesn’t require a lot of work to prepare. Whenever you decide to enjoy this dish, you’ll be glad you made the purchase. This is an excellent way to add variety to any food storage program, or even to help get one started. Get yours today, you’ll be glad you did.